Description: First album recorded at the new T-Toc Records Studio! The three initials of the "KBS Trio" signify the first names of bassist Ken Kaneko, pianist Benny Green and guitarist Satoshi Inoue. The eldest of the three, Inoue lived in New York for 21 years and taught at The New School for Jazz and Contemporary Music before returning to Japan in 2010. (He recently released a nice CD with his group Manhattan Five that includes Green.) The leader of the group, bassist Kaneko, is a year younger than Green, and has big sound and tremendous power. Well known and admired by jazz fans all over the world, Green needs no introduction here. 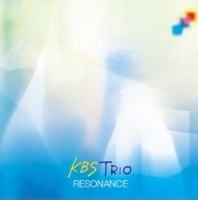 This is the KBS Trio's second album, following What Am I Here For released in 2010. A direct descendant of the Nat King Cole Trio and, more closely, the Oscar Peterson Trio with Ray Brown and Herb Ellis, this piano-bass-guitar trio is an epitome of swing and sympathetic interplay. The pianistic flair of Green, straight-ahead solidity of Inoue's guitar, and the strong beat and drive of Kaneko's bass are fantastic and their "togetherness" and collective energy very thrilling. Recording engineer and producer Takaaki Konno of T-Toc Records has consistently produced audiophile-quality recordings, but in 2012 he took a significant step by building a new studio. From the foundations and materials, dimensions of the room to the quality of power and cables, everything was chosen to maximize the sound quality from an audiophile's perspective. This album is the first to be recorded in that brand-new studio, and with the Bechstein C-234 grand piano Konno purchased for the studio. The overall sound quality is superb! The piano's sound, unlike most modern recordings, is captured with some "room acoustics" so we can appreciate how it resonated in real space. Enthusiastically recommended to audiophiles, fans of straight-ahead jazz and especially to fans of Benny Green! If you want to take full advantage of this great recoding, a single-layer SHM-SACD edition of this album (SSCD-0001) is also available. Recorded on February 5 and 6, 2012 at T-Toc Studio in Ibaraki, Japan. This is the "redbook" CD edition.